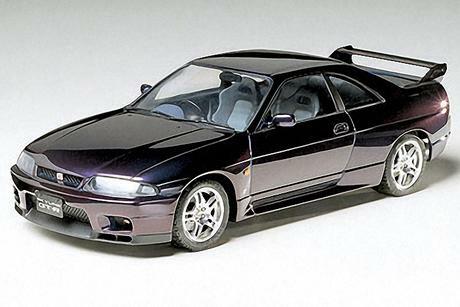 Nissan"s new Skyline GT-R was unveiled in January 1995, almost one and a half years later than other Skyline stable"s model change. During the early 1990"s, the previous GT-R recorded countless victories, not only on the Japanese racing scene, but also in several foreign countries including the Macao Grand Prix and the Spa Francorchamps endurance race in Belgium. 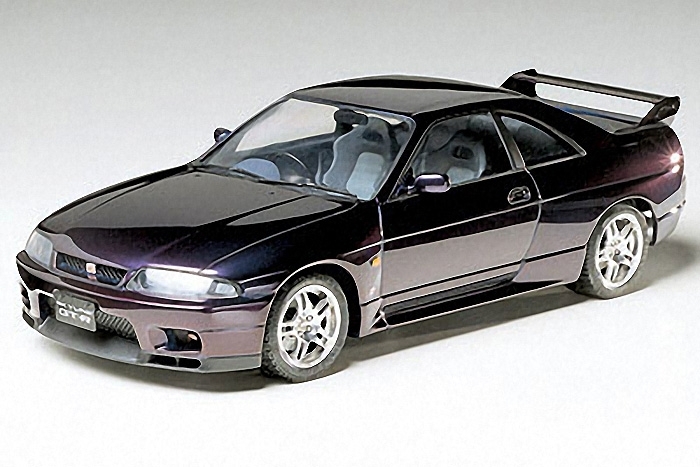 Like its predecessor, the "95 Skyline GT-R was designed to continue its motorsports legend from the ground up. The powerplant for the GT-R is a 2.6 liter, in-line 6 cylinder DOHC, twin turbocharged unit. Although the maximum horsepower output is maintained at the same 280hp as before, torque was increased by using a higher turbo boost. The race prepared, "V-Spec" model is equipped with Nissan"s state of the art ATTESA E-TS PRO variable torque split four wheel drive system. It efficiently distributes the available power to the front and rear wheels, plus controls torque distribution between the left and right rear wheels, achieving perfect four-wheel traction control. The front and rear multi-link suspension is further sport oriented for competition and class performance. The Brembo brake system is used on all four wheels, for positive stopping power. The huge rear spoiler has an adjustable stabilizer, to produce the desired downforce. The massive front and rear blistered fenders, plus a large front air-intake, give the GT-R its very aggressive look.